You can use your leftover yarn to crochet those little butterflies to customize clothes and accessories, or decorate your house or your artjournal/scrapbooking pages. With a very small crochet and a little bit of imagination, you can even create a punchy bijou for springtime. 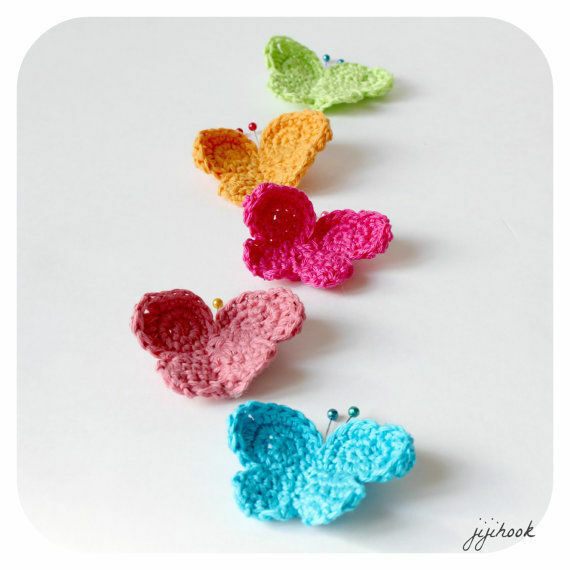 The pattern will allow you to crochet the butterflies presented in the article's description. You can change colors to create different styles of butterflies. Crocheted with a 3mm hook, a butterfly measures 4 x 6 cm. A smaller or bigger version can be crocheted with the same pattern, using bigger yarn and hook.